The focus of my last blog post was my recent trip to the Northwest Flower and Garden Show in Seattle. It was a busy few days, and one of the highlights of the show was the time I was able to spend with garden writing friends like Dee Nash. Dee kindly contributed to Groundbreaking Food Gardens (just a month from release!) but also has a new book of her own that will be widely available in the next few days. It’s called ‘The 20-30 Something Garden Guide’ (St Lynn’s Press). The sub-title is ‘A no-fuss, down and dirty Gardening 101 for anyone who wants to grow stuff.’ It couldn’t be more aptly named. I’ve known Dee for a few years and I am constantly inspired by her passion for gardening with both ornamental and edible plants. To celebrate the release of her first book, I thought I would share of bit of Dee’s garden wisdom. 1) Start Small - Dee points out that going too big too fast can result in more work than you anticipated. Start with a container veggie garden or a single compact garden bed. “It’s your garden,” she says. “Going too large in a garden is like overfilling your plate.” Once you’ve got a handle on the basics, you can always go bigger! 2) Bigger is Better - I love growing veggies and herbs on my back deck, sometimes giving them their own pots and other times tucking them between my petunias and million bells. Dee suggests opting for larger sized containers - at least 18 to 24 inches wide and 12 to 16 inches deep. “One benefit to using larger containers is they don’t dry out as quickly as smaller ones,” notes Dee. Hey, if that means less watering for me, I’m all for it!! 3) Welcome Friends - When I say ‘friends’, I’m referring to beneficial insects and pollinators. 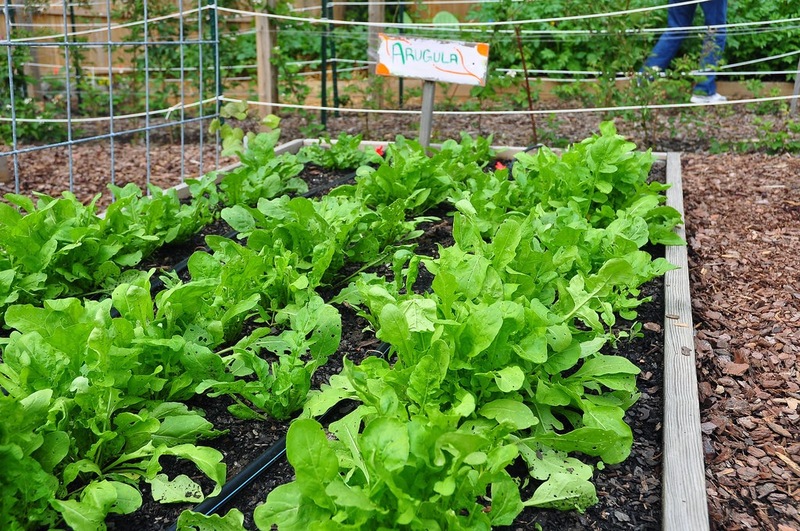 Dee says that allowing a few clumps of veggies or herbs - like lettuce - to flower will help lure the good bugs to your garden. “Pollinators seem especially attracted to simple flowers like those of vegetables, and I’m always trying to encourage pollination in my garden,” says Dee. 4) Consider Design - Dee’s own garden is a lovely combination of veggies, herbs and flowers for what she calls, ‘drop dead gorgeousness!’ She also encourages gardeners to take advantage of front yards, especially if that is your own spot with full sun. Don’t be afraid to grow food where your neighbours can see it! Who knows, after sampling your homegrown goodies, they may even decide they want to plant their own gardens. 5) Include Elements for All Your Senses - This section of the book really captured my imagination. Dee sketches our a simple circular garden design that is divided into easy-to-build segments. “Round shapes in the garden immediately attract attention because they are different,” she says. 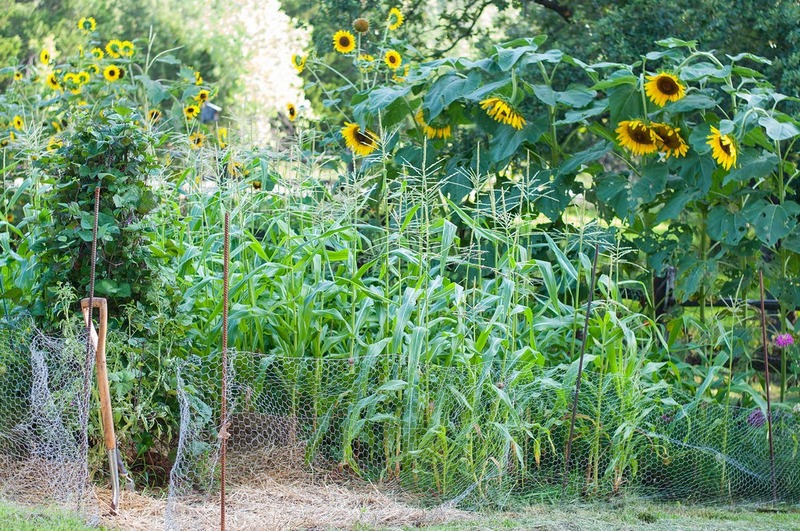 “You won’t find many straight lines in nature, so adding some curves to your garden brings a sense of harmony.” In this charming plot, she includes plants to tickle your senses - Lamb’s ears, lemon thyme, ‘Little Bunny’ grasses, sunflowers, asparagus and sweet peas. Pick and choose from the long lists of flowers and food plants for fragrance, touch, taste and colour. There is a lot of information packed into these pages. Don’t be intimidated, however, as Dee is an encouraging coach, taking the guesswork out of creating a beautiful, but productive garden. One more point that I’d be neglectful to omit is that this is also a good looking book. The photos are plentiful and beautiful, and the layout is eye-catching and easy to read! Plus, the handy sidebars, lists and tip boxes highlight Dee’s many important points and offer helpful and easy-to-follow suggestions. 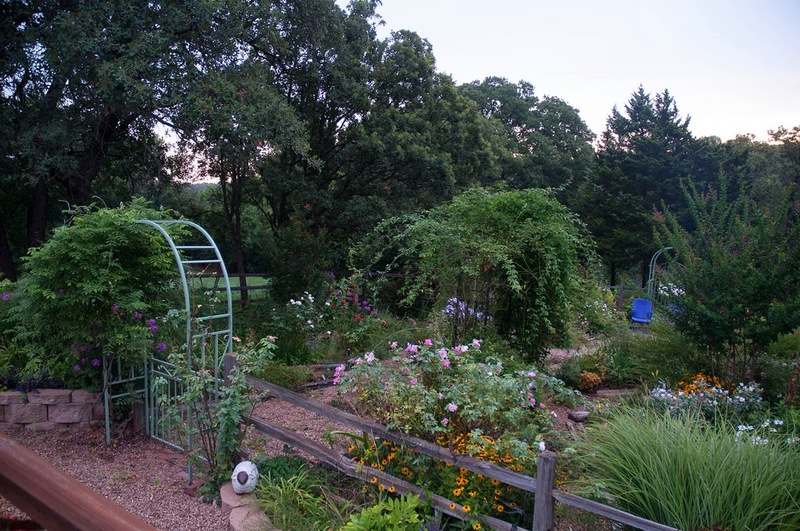 Shawna Coronado's website — a gift certificate to High Country Gardens for a Summer Dreams Garden. Whitney Curtis at The Curtis Casa — David Austin Rose, 'Princess Alexandra of Kent' and Authentic Haven Brand Moo Poo Tea. 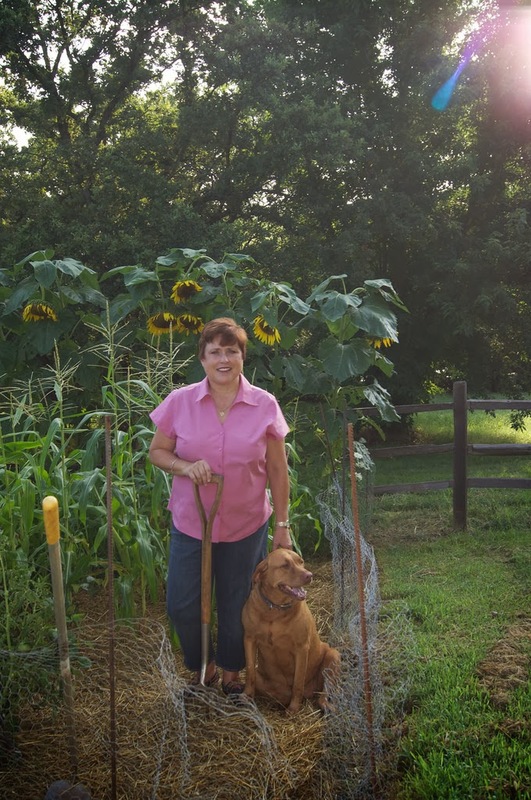 Colleen Dieter at Red Wheelbarrow Plants — Garden Girl shorts and Fiskars PowerGear 18” loppers. Robin Haglund at Garden Mentors — Buckaroo Brand Worm Castings, a hula planter and Empire Soil Builder, from Sanctuary Soil. Rachel Hough at The Domestic Artiste — Fiskars Tools, two sets of loppers, one is the PowerGear Lopper 32” and the other Power-Lever 28”. Carmen Johnston at Carmen Johnston Gardens — Garden Girl pants with knee pads and a David Austin rose, 'The Alnwick Rose' catalog link for ordering bare root roses. Carol Michel at May Dreams Gardens — DeWit Tool kit and Botanical Interests Organic Heirloom Seed Bank Collection. Pam Penick at Digging — Three small Bee Preservers, www.glassgardensnw.com. Jenny Peterson and J. Peterson Garden Design — is giving away a two-part prize from the Seedkeeper Company, a Seedkeeper Deluxe and Burlap Girdle(s). Genevieve Schmidt at North Coast Gardening — Annie’s Annuals gift certificate and Keira Watering Cans. Great give away. Can't wait to read the book. Please count me in. Thanks Jeanette!! To enter the various draws, just click on the above links to go the US bloggers sites. You can enter there.. As a Canadian, I couldn't take part in offering a draw. :( But you can still enter by visiting each blog and commenting.. Plenty of tempting prizes!! Good luck! Practical gardening tips are timely since we moved last summer. You must be anxious to get out in the garden! Did you start a new garden last year or were you waiting until this spring? I can't wait to check this book out! I am a seasoned gardener, but there is always room for improvement! It's a great book Carol!! I really love how Dee's personality shines through in her writing style. Thank you Linda!! I will also add you to my blogroll. Nice to 'meet' you! Dee's great and I'm thrilled her book is finally available! It's going to become the go-to resource for many gardeners. Very cool to check out your site. Finding you from Dee and her big giveaway. Amazing you're growing veggies with all that snow. Best of luck on your book too! Thank you! We got quite a snow/freezing rain storm last night too.. but I still harvested a nice big armful of kale today! This book sounds fantastic. I can hardly wait to see it when it comes out. 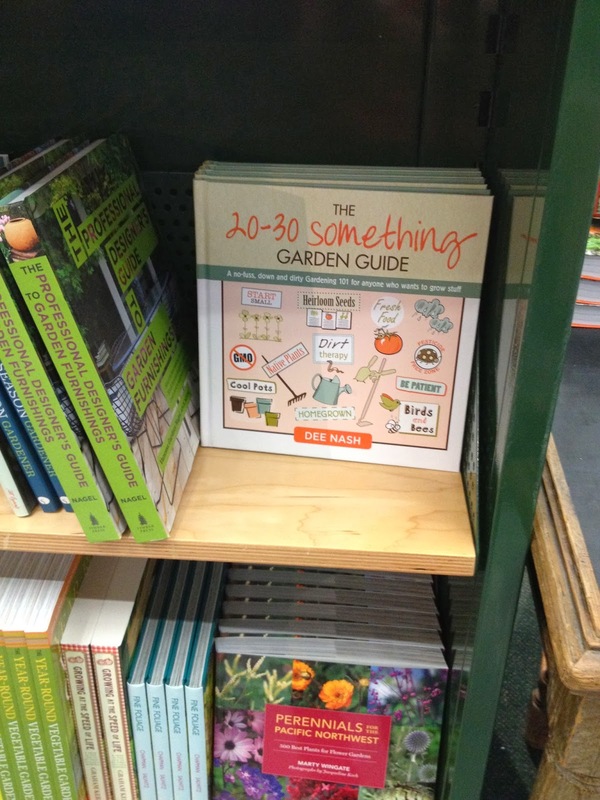 I agree that Dee's book will open up a world of gardening to many new folks! What a wonderful endeavor! Thanks for supporting her and her new book! I am really enjoying Dee's book...lots of great ideas for newbies but also those of us who have gardened for a while! Sounds like a great book! There are a lot of people who would like to learn how to garden, but don't really know where to start and are rather afraid of it. Can't wait to read Dee's book! And I'm even in the right age demographic...though I already garden, but nevertheless, I can't wait to read it.